On the hot summer times; would you like to eat light and satisfying taste ? 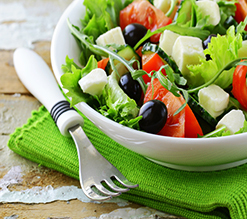 Click for Mediterranean Salad with White Cheese recipe ! Wants to eat Gozleme (Flatbread) but can you take care of your weight ? 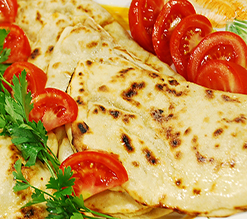 On that time, prepare your Gozleme (Flatbread) with Gursut curd (whey) cheese; it become a less fat meal. Bon Appetite ! Refresh and healthy ! 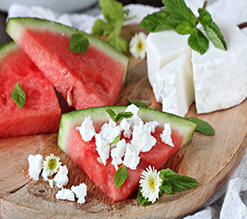 Summers favorite meal : Gursut Goat Cheese & Watermelon Duo.